I grew up with some Hausa neighbors who introduced me to eating Tuwo. I did not even know at the time that it was made out of rice. I learnt how to make rice balls later on, but I never got the name; until someone said “Oh you made Tuwo!” and since then I have been hooked…I thought Tuwo was a complicated meal so it never bothered me to even learn how to make it lol…Little did I know that I had been making it:) Tuwo is simply fufu made out of rice and eaten mostly by the people of Northern Nigeria. The word Tuwo Shinkafa simply means Mashed rice. It can be eaten with soups like Miyan Taushe, Okra soup, pepper soup, etc. I have even had it with stew before as I was too lazy to boil any extra rice for my stew. I have had it with Egusi soup too. It is rice after all lol! Let us get right to it. It is quick and simply amazing! Wash rice under running water until clear. in a pot, bring water to a boil, pour in the rice and bring to another boil. Reduce the heat and cover. cook rice and keep adding water until the rice is cooked and really soft and sticky. 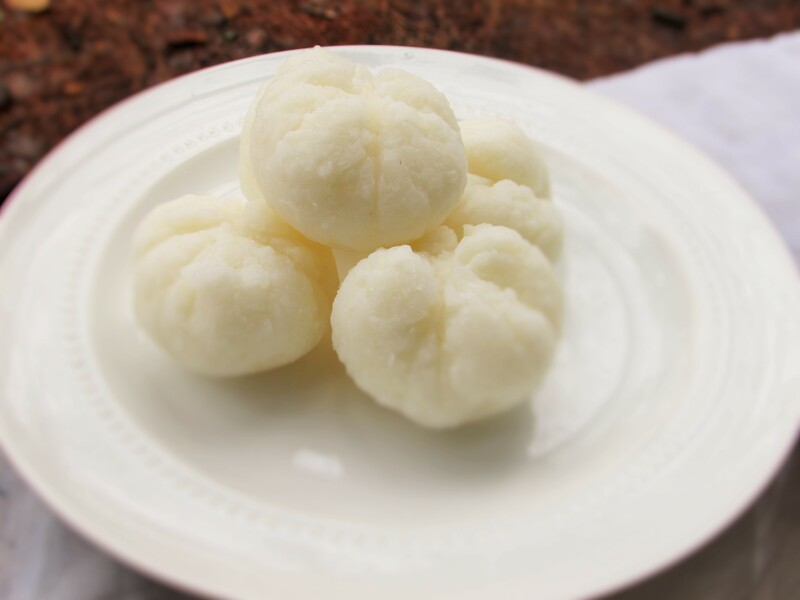 This entry was posted in Rice, Swallow and tagged recipe for rice balls, rice, rice balls, rice balls recipe, Shinkafa, Tuwo, Tuwon, Tuwon recipe, Tuwon Shinkafa. HI nma, thanks for this post. I can’t believe is this easy o. Can’t wait to try it! How do i make it thick like the naija one if I want it to,Pls?